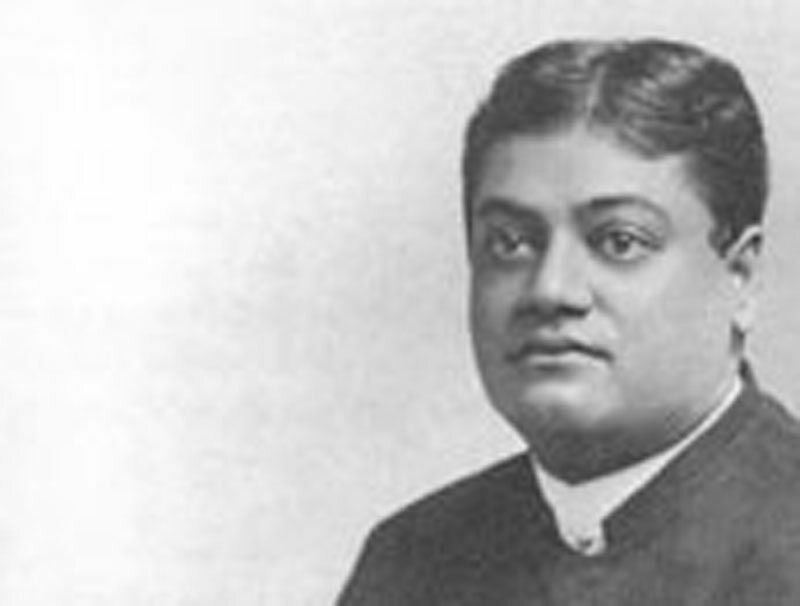 Evolution - Teachings of Swami Vivekananda by Topic- Frank Parlato Jr. In the matter of the projection of Akâsha and Prâna into manifested form and the return to fine state, there is a good deal of similarity between Indian thought and modern science. The moderns have their evolution, and so have the Yogis. But I think that the Yogis' explanation of evolution is the better one. "The change of one species into another is attained by the infilling of nature." The basic idea is that we are changing from one species to another, and that man is the highest species. Patanjali explains this "infilling of nature" by the simile of peasants irrigating fields. Our education and progression simply mean taking away the obstacles, and by its own nature the divinity will manifest itself. This does away with all the struggle for existence. The miserable experiences of life are simply in the way, and can be eliminated entirely. They are not necessary for evolution. Even if they did not exist, we should progress. It is in the very nature of things to manifest themselves. The momentum is not from outside, but comes from inside. Each soul is the sum total of the universal experiences already coiled up there; and of all these experiences, only those will come out which find suitable circumstances. So the external things can only give us the environments. These competitions and struggles and evils that we see are not the effect of the involution or the cause, but they are in the way. If they did not exist, still man would go on and evolve as God, because it is the very nature of that God to come out and manifest Himself. To my mind this seems very hopeful, instead of that horrible idea of competition. The more I study history, the more I find that idea to be wrong. Some say that if man did not fight with man, he would not progress. I also used to think so; but I find now that every war has thrown back human progress by fifty years instead of hurrying it forwards. The day will come when men will study history from a different light and find that competition is neither the cause nor the effect, simply a thing on the way, not necessary to evolution at all. The theory of Patanjali is the only theory I think a rational man can accept. How much evil the modern system causes! Every wicked man has a licence to be wicked under it. I have seen in this country (America) physicists who say that all criminals ought to be exterminated and that that is the only way in which criminality can be eliminated from society. These environments can hinder, but they are not necessary to progress. The most horrible thing about competition is that one may conquer the environments, but that where one may conquer, thousands are crowded out. So it is evil at best. That cannot be good which helps only one and hinders the majority. Patanjali says that these struggles remain only through our ignorance, and are not necessary, and are not part of the evolution of man. It is just our impatience which creates them. We have not the patience to go and work our way out. For instance, there is a fire in a theatre, and only a few escape. The rest in trying to rush out crush one another down. That crush was not necessary for the salvation of the building nor of the two or three who escaped. If all had gone out slowly, not one would have been hurt. That is the case in life. The doors are open for us, and we can all get out without the competition and struggle; and yet we struggle. The struggle we create through our own ignorance, through impatience; we are in too great a hurry. The highest manifestation of strength is to keep ourselves calm and on our own feet.